Hard to believe it’s already that time but the countdown has begun for the release on DVD and Blu-ray of this summer’s biggest hit Iron Man 2. The film may have gotten 90% of the geeks across the globe excited in theaters, but the special features on the Blu-ray are sure to get that last 10%. The big combo pack will be the Blu-ray edition, of course, and should be chock-full of features and extras to keep you entertained. Check out a complete list of the features below, and be sure to grab Iron Man 2 on Blu-ray and DVD September 28th. • S.H.I.E.L.D. Data Vault (HD)— Extend your knowledge of the Marvel Cinematic Universe with high-level clearance into S.H.I.E.L.D.’s digital data vault. Interact with select scenes from the movie that include new layers of graphics and insider information. View case files, dossiers, S.H.I.E.L.D. training films, tech details and more. Many, many moons ago I recall waiting with a bunch of my geeky and not-so-geeky high school pals in a never-ending line around the block for the highly-anticipated 12:01 showing of Star Wars: Episode I: The Phantom Menace. It was a showing at our local theater, before the days of stadium seating and online ticketing. I remember that the film held a certain magic in the hours before it started. Energy was buzzing all around us. While waiting, my friends and I played poker, tossed a football, answered trivia from boys dressed as Jedi Knights, and talked about which starship would win in a battle. Anyone who goes to Comic-Con’s geekest panel of them all, “Starship Smackdown”, knows the Millennium Falcon has been taken out of the running for winning one too many times. But, I digress. There was excitement, magic, and a new hope that this film would be great. Sadly, I was a bit disappointed. As were many others that day. As I waited for my friend to arrive at the 12:01 Arclight Hollywood Dome showing of Iron Man 2, I recalled those days with a bit of nostalgia. As I looked around the theater, I realized the movie-going experience had evolved. As many of you will remember, Marvel celebrated February with announcements for the Heroic Age where they revealed not one, not two, not even three but four teams of Avengers… well sort of. In addition to the Avengers, the New Avengers and Avengers Academy rosters, Marvel put out a teaser campaign for the Secret Avengers as well. These teaser posters had a quote describing their respective member but only a blacked out silhouette for artwork. These outlines have lead to massive speculation with names like Venom, the Black Panther, Doctor Voodoo and the Hood all being listed as possibilities. It looks like Marvel threw a little curve ball at everyone by leaving out certain details in the outlines of these silhouettes as well as you can see with the reveals of both Beast and War Machine as the first two Secret Avengers. Things which could have helped narrow down the possibilities drastically for who these two were just “happened” to be left out such as Beast’s fur or the arsenal attached to War Machine’s shoulders. Still, kudos to Marvel for letting there still be some surprises in comic books today in a world full of online spoilers. Take a peek below at the final reveal posters of Beast and War Machine and stick to The Flickcast for more reveals for the Secret Avengers as they happen. 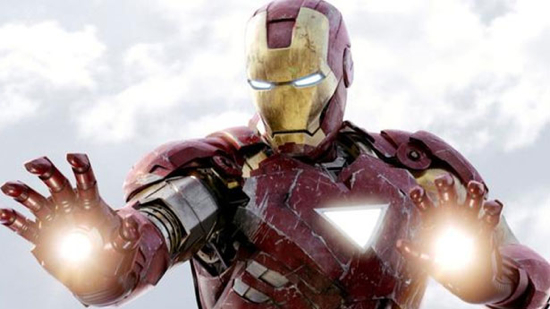 Tony Stark to find the bottle in ‘Iron Man’ 3? As soon as Iron Man hit the movie screen comic book fans began speculating as to whether Tony Stark would turn to booze. This, of course, comes from the highly praised Demon in a Bottle storyline in which Stark falls into a depression, forsakes his Iron Man alter ego, and becomes an alcohalic. With Marvel Studios casting Robert Downey Jr. in the title role, someone who has battled similar demons, it only bolstered the idea that this story had to be addressed at some point.